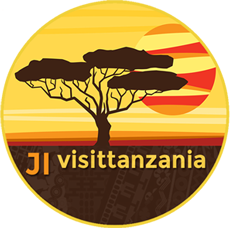 If you are a provider of Tanzania tourism services, including; Tour Operators, Tour Coordinators, Tour Guides, Travel Operators, Airports, Domestic and International Flights Operators, Hotels, Guest Houses, Tented Campus, you are invited to submit an online form describing the tourism services you offer. Once approved your tourism services will be posted on the site for potential travelers to review. This option allows you to submit specific tour details from a checklist of options. These options will be matched to the options that potential tourists and travelers from around the world select for their trips. If your options match those entered by our travelers, you will receive an email request for bookings, travel plans and general enquiries from potential tourists and travelers. You can then contact these travelers to further discuss their travel plans, confirm prices and book their tours. This option allows you to post your tour packages on our site for potential tourists and travelers from around the world to review. You can submit up to 20 different tour packages with flyers, brief information and detailed information for each specific tour package you have available. Potential tourists and travelers will be able to review your tour packages and will contact you directly if they are interested in your services.